In a recent interview with the San Jose Mercury News, AMD spokesman Mike Silverman said the company is currently at an inflection point and that they need to "let go of the old AMD versus Intel mind-set, because it won't be about that anymore." His vague comments regarding the future strategy for AMD quickly sparked speculation about a potential exit from the x86 microprocessor market. Now, however, they've moved to clarify that this won't be the case, but they intend to realign the business around current trends involving low-power devices and the cloud. That doesn't sound too different from what the company was supposed to be focusing on right now -- they just haven't been able to bring power consumption down enough to enter the smartphone and tablet markets or deliver enough performance in mainstream and server chips to outshine Intel. The company is expected to share more details about its future plans at its February strategy update. Although AMD says they are still committed to x86, at the very least it would seem they are done trying to go head to head with Intel at the top end. They haven't been able to produce a high-end processor to match Intel's enthusiast offerings for quite a while, and though many had hoped to see AMD back in the game after the company revived its much-ballyhooed FX brand, that clearly wasn't the case. AMD sits at around 19% of the overall processor market share, down from a 23% share in 2006, and not even the massive $1.25 billion settlement last year in its antitrust battle against Intel was able to change its fortunes. 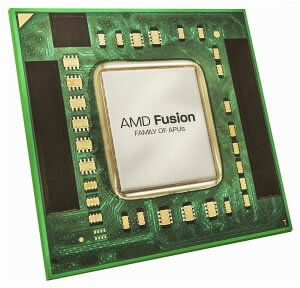 Meanwhile, the low-power devices market that AMD talks about is currently dominated by ARM. The fight with Intel has seemingly gotten AMD nowhere but there's no indication that they'll fare any better going against ARM. What's more, the recent decision to move 28nm production to TSMC from GlobalFoundries -- if true --means AMD won't have a true successor to its low-power Ontario/Zacate products in another 18 months. One rumor that's been floating around is that AMD might be ready to pair ARM-based processors with its own graphics technology to produce a system-on-a-chip alternative to Qualcomm, Nvidia, TI's and the like. Earlier this year AMD Marketing Director John Taylor denied rumors that such a deal was in the works, but said they are not closing the doors on it either, seeing as they have "similar views on where the industry is going."